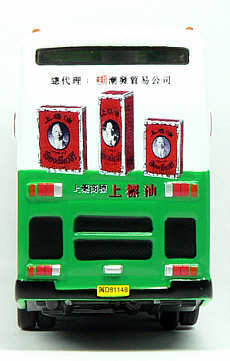 The model - this model carries advertising for Siang Pure Oil. Any further details of this model would be welcome. The bus - Top Result's network of double and single decker buses covers 13 cities nationwide and provides public transportation to 200 - 300 million passengers. 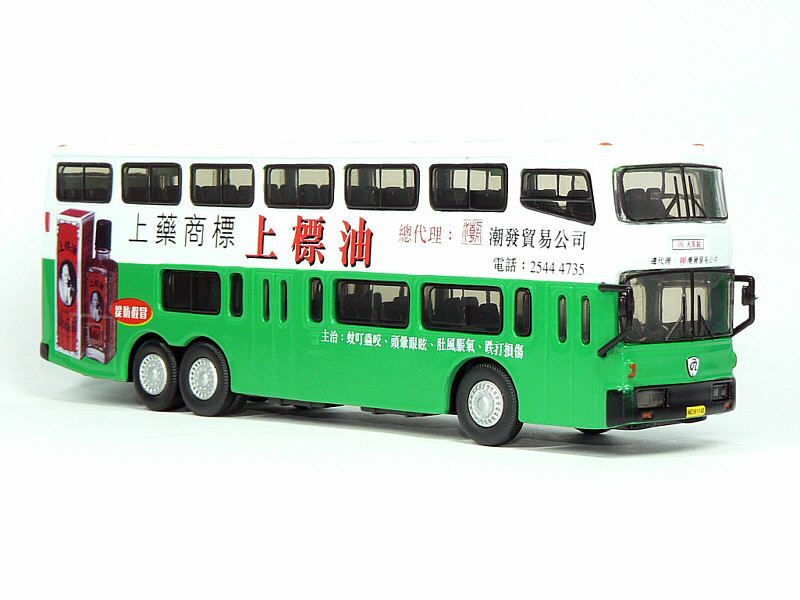 It manages over 1,000 buses for a comprehensive range of premium clients. 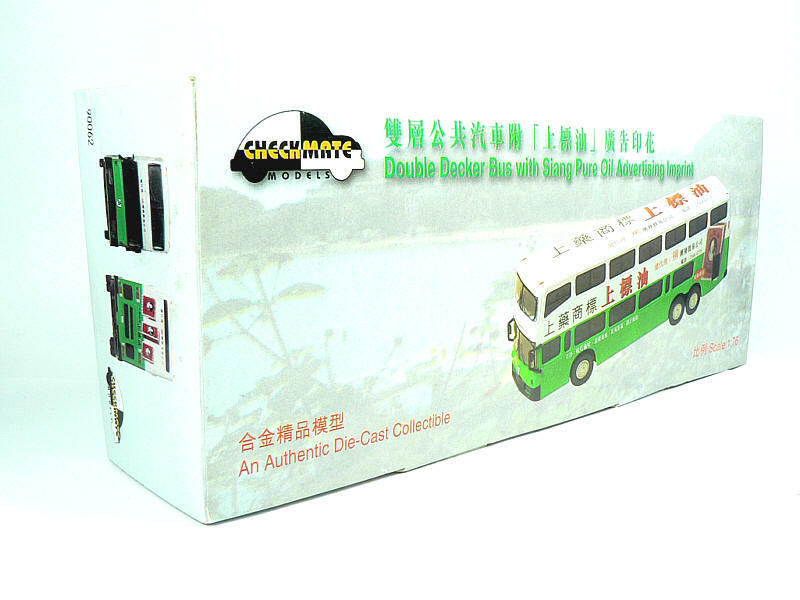 It footprint covers Beijing, Chengdu, Wuhan, Dalian, Hangzhou, Shenyang, Shanghai, Kunming, Xiamen, Fuzhou Changsha, Guangzhou and Qingdao. The route 26 runs back and forth between Yijing Garden and Train Station in Xiamen. 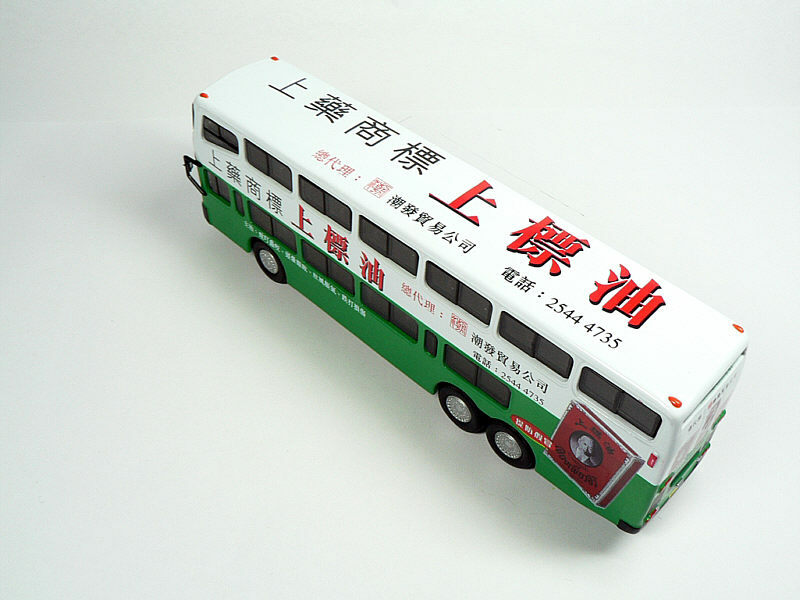 Founded in 1992, Top Result Promotion Ltd., has gained extensive exposures and expertise in outdoor advertising industry in Hong Kong and other major cities in mainland China. 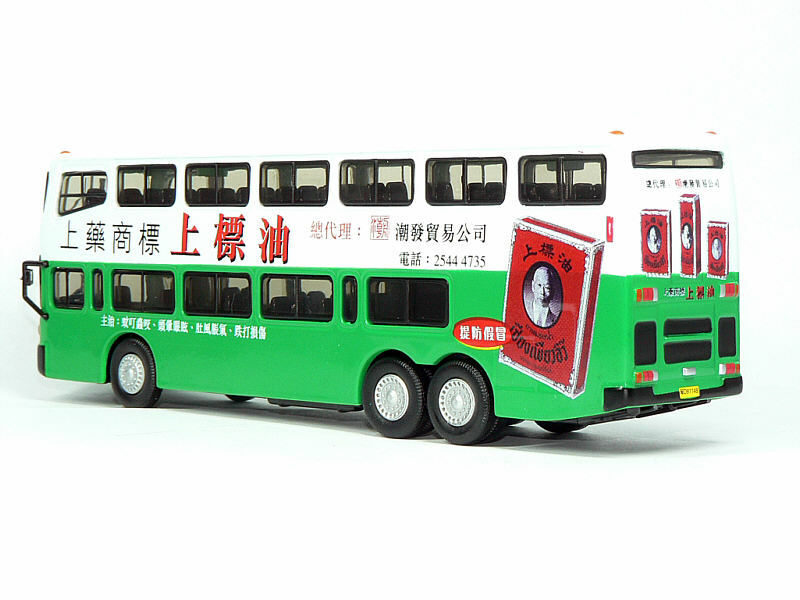 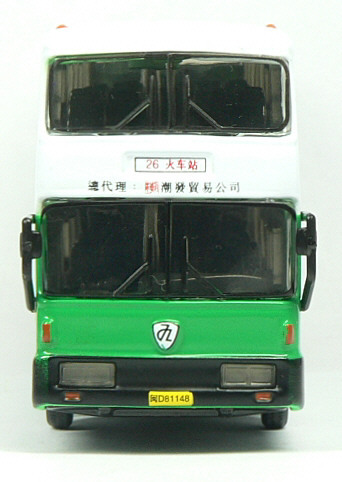 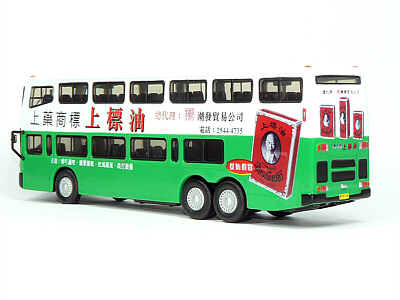 Top Result were also appointed as the exclusive advertising agent for all bus body advertising for New World First Bus.